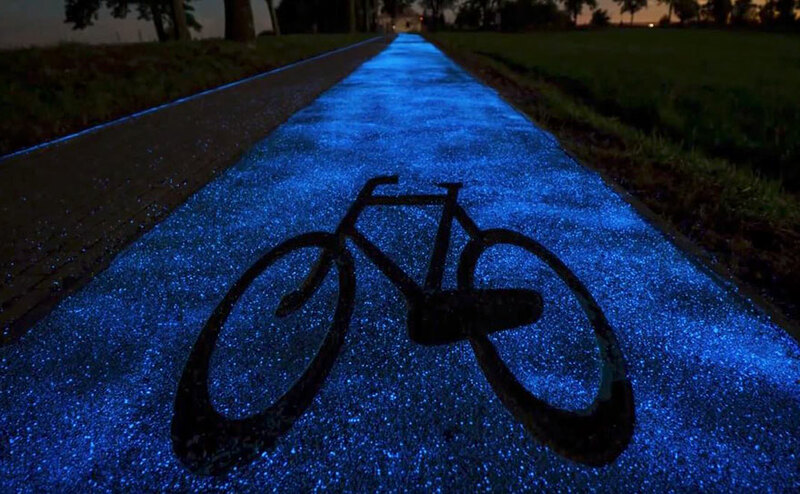 Cycling is one of the most eco-friendly ways to travel, and thanks to this solar-powered bike lane that glows in the dark, it just got even more so. 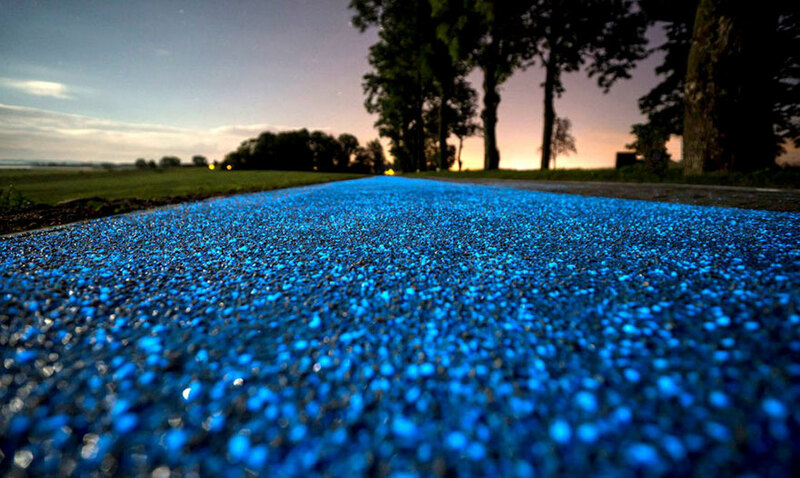 The luminous blue cycling strip, which can be found near Lidzbark Warminski in the north of Poland, was created by TPA Instytut Badań Technicznych Sp. z o.o. It’s made from a synthetic material that can give out light for up to ten hours at a time once charged by the sun throughout the day. 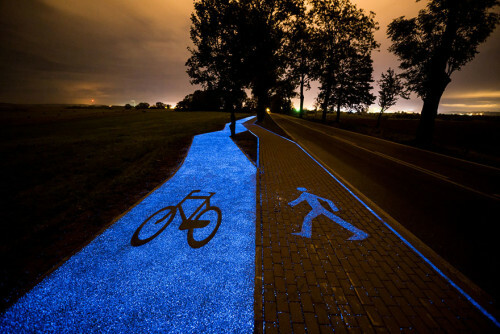 Although the concept was inspired by Studio Roosegaarde’s Starry Night bike lane in the Netherlands, the technology is quite different as the Dutch version uses LEDs whereas this one is entirely dependent upon solar power. 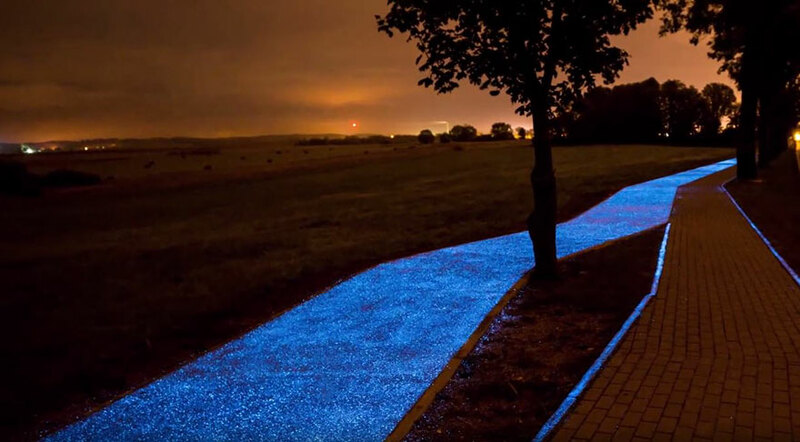 According to Next Nature Network, the luminophores, or “particles” in the bike lane material can emit a variety of colors, and the designers picked blue to best fit in with the surrounding landscape. They also researched the sustainability of the materials they utilized, and how to make the materials as cost effective as possible since the bike lane does cost more than traditional lanes. It’s still in the testing phase at the moment, but let’s hope that this bright idea will be implemented in other countries in the very near future. « HIT! Super cheap flights to Thailand: Phuket for €253!